The opioid epidemic ravaging the United States is taking a grim and growing toll. The latest numbers from the Centers for Disease Control and Prevention show that 64,070 people died from drug overdoses in 2016. That's a 21 percent increase over the year before. 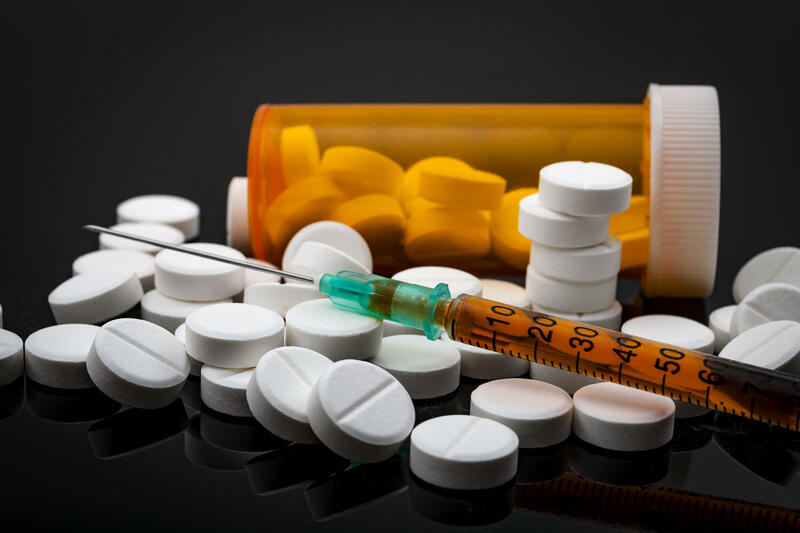 Approximately three-fourths of all drug overdose deaths are now caused by opioids — a class of drugs that includes prescription painkillers as well as heroin and potent synthetic versions like fentanyl. A new report from Police Executive Research Forum (PERF), an independent research organization that focuses on "critical issues in policing," puts those numbers into context. According to the report, more Americans died from drug overdoses in 2016 than the number of American lives lost in the entirety of the Vietnam War, which totaled 58,200. The group says it is focusing its efforts on the opioid epidemic because "despite the groundbreaking work that police and other agencies are doing, the epidemic is continuing to worsen." The 35,092 motor vehicle deaths in 2015. AIDS-related deaths in the worst year of the AIDS crisis, when 50,628 people died in 1995. The peak year for homicides in the U.S., when 24,703 people were murdered in 1991. Suicides, which have been rising in the U.S. for nearly 30 years and totaled 44,193 in 2015. The data also shows that overdoses of synthetic drugs, such as fentanyl — which is 50 to 100 times stronger than the painkiller morphine — are driving the sharp increases in opioid overdose deaths. The CDC identified 15,466 deaths from heroin overdoses in 2016, while 20,145 deaths were caused by fentanyl or other synthetic opioids. Additionally, a survey conducted by PERF of its member police chiefs earlier this year found half of the respondents reported an increase in fatal heroin overdoses in their jurisdiction in 2016 compared to 2015, and 45 percent reported an increase in drug overdose deaths attributed to fentanyl during that time. Twenty-three percent reported an increase in fatal overdoses due to prescription opioid medications. This is consistent with research suggesting that many people who become addicted to prescription painkillers often move on to heroin or synthetic opioids when it becomes too difficult to or expensive to keep obtaining prescription pills. A joint investigation by "60 Minutes" and the Washington Post this week spotlighted how an act of Congress actually helped fuel the epidemic of addiction. Whistleblowers revealed how the Ensuring Patient Access and Effective Drug Enforcement Act of 2016, which was unanimously approved, derailed DEA efforts to crack down on suspect pharmacies that are distributing millions of pills in hard-hit communities. "So it is clear that police and other criminal justice agencies, along with public health departments, drug treatment and social service providers, elected officials, and others, must step up their efforts to prevent new cases of opioid addiction, while helping addicted persons through the long and difficult process of getting free of opioid drugs," the authors write.